Perioperative positive fluid balance has negative effects on short-term outcomes, such as surgical complications, although the associations with postoperative mortality remain unclear. This study evaluated the associations of perioperative fluid balance (FB) with 30-day mortality and acute kidney injury (AKI) after postoperative intensive care unit (ICU) admission. 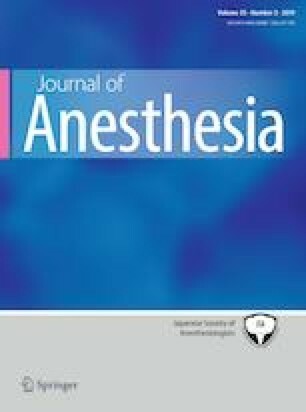 This retrospective study evaluated data from adult patients who were admitted to the ICU after surgery during 2012–2016. Weight-based cumulative FB (%) was calculated for 3 time periods [postoperative day (POD) 0 (24 h), 0–1 (48 h), and 0–2 (72 h)] and was categorized as positive (≥ 5%), mild to moderate positive (5–10%), severe positive (> 10%), normal (0–5%), or negative (< 0%). Data from 7896 patients were included in the analysis. The multivariable Cox regression model revealed that increased 30-day mortality was associated with positive FB groups (≥ 5%) compared to normal FB groups (0–5%) during 3 time periods [hazard ratio (HR) on POD 0 (24 h): 1.87, HR on POD 1 (48 h): 1.91, and HR on POD 2 (72 h): 4.62, all P < 0.05]. These trends were more evident in the severe positive FB group across the three time periods. Additionally, similar association was found for incidence of AKI during POD 0–2. Perioperative cumulative weight-based FB was positively associated with increased postoperative 30-day mortality or postoperative AKI in ICU patients; this association was consistent with the positive FB on POD 0 (24 h), 0–1 (48 h), and 0–2 (72 h). Tak Kyu Oh and In-Ae Song made equal contribution as co-first authors. The online version of this article ( https://doi.org/10.1007/s00540-019-02630-8) contains supplementary material, which is available to authorized users. The authors thank the Medical Research Collaborating Center at Seoul National University Bundang Hospital for the revisions with regard to statistical analyses. They are particularly grateful to their statistician, Eunjeong Ji, Ph.D., for her contribution on the statistical analysis.